Mobile Breakable Surgical Tables for Hybrid Operating Rooms. 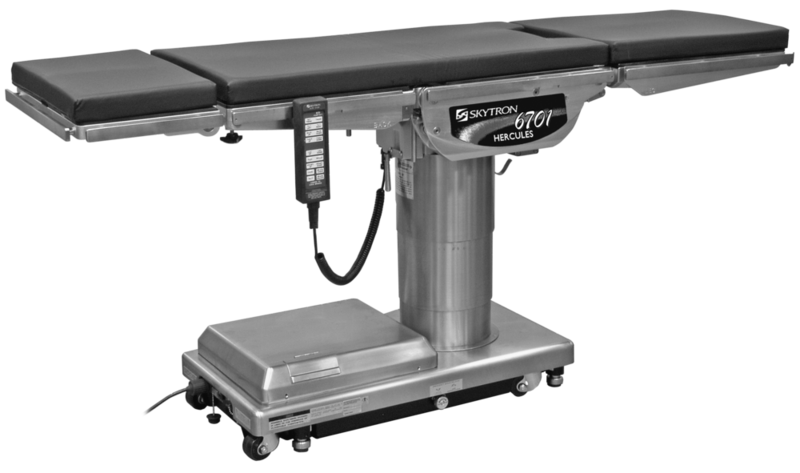 Surgical Tables provide patient positioning for hybrid surgical procedures. SKYTRON, Maquet, Trumf, Steris, Stryker. The selection of the OR table depends on the primary use of the system. 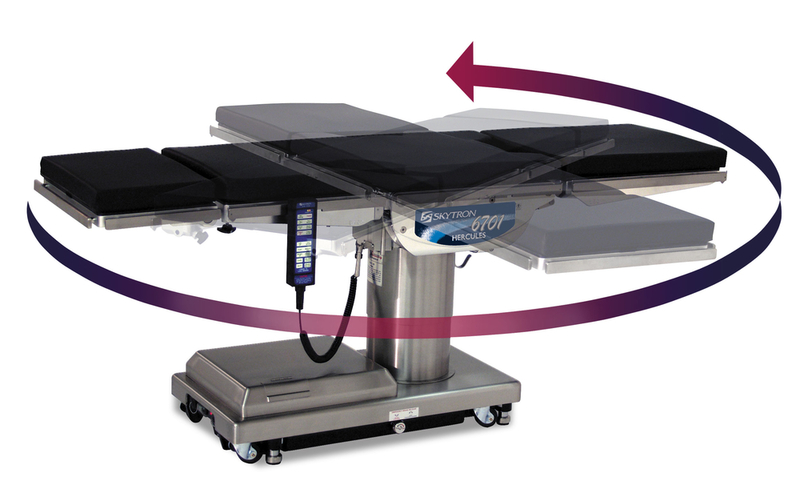 Interventional tables with floating table tops and tilt and cradle compete with fully integrated flexible OR tables. Identification of the right table is a compromise between interventional and surgical requirements. Surgical and interventional requirements may be mutually exclusive. 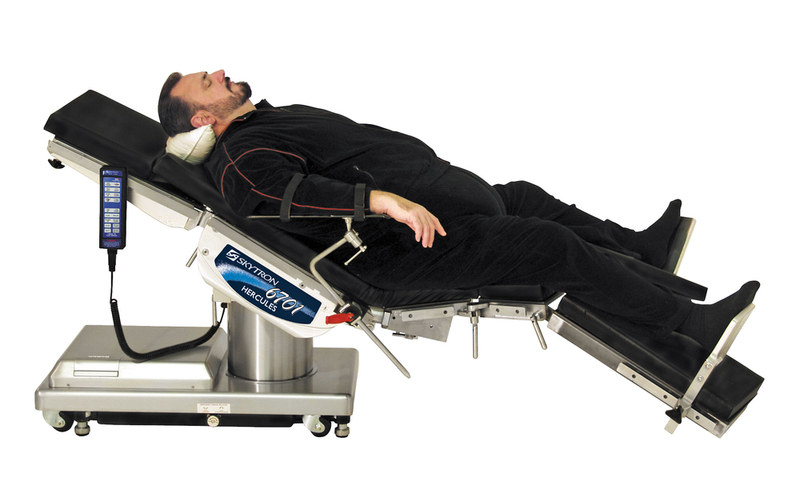 Surgeons, especially orthopedic, general and neurosurgeons usually expect a table with a segmented tabletop for flexible patient positioning. 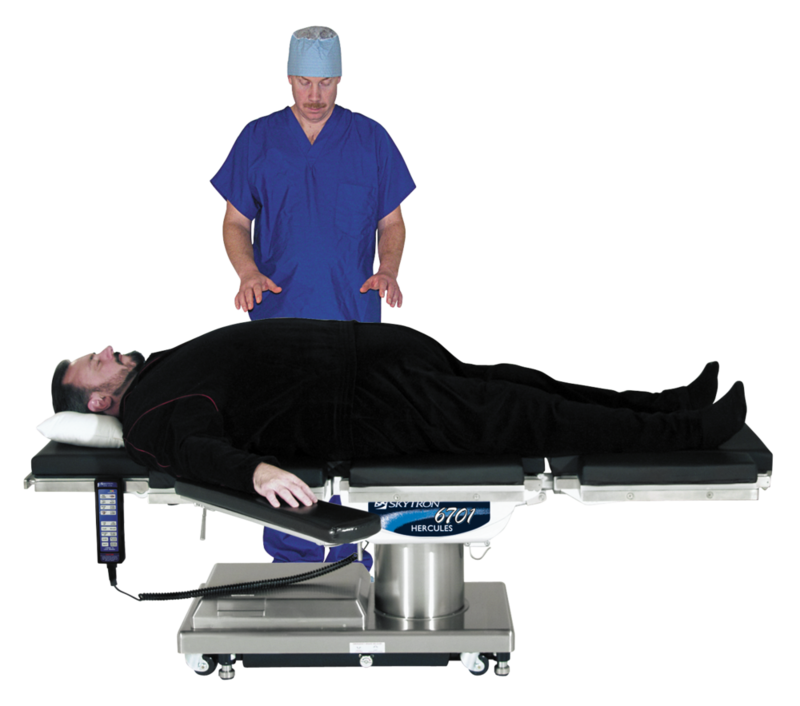 For imaging purposes, a radiolucent tabletop, allowing full body coverage, is required. Therefore, non-breakable carbon fibre tabletops are used. Interventionalists require a floating tabletop to allow fast and precise movements during angiography. Cardiac and vascular surgeons, in general, have less complex positioning needs, but based on their interventional experience in angiography may be used to having fully motorized movements of the table and the tabletop. 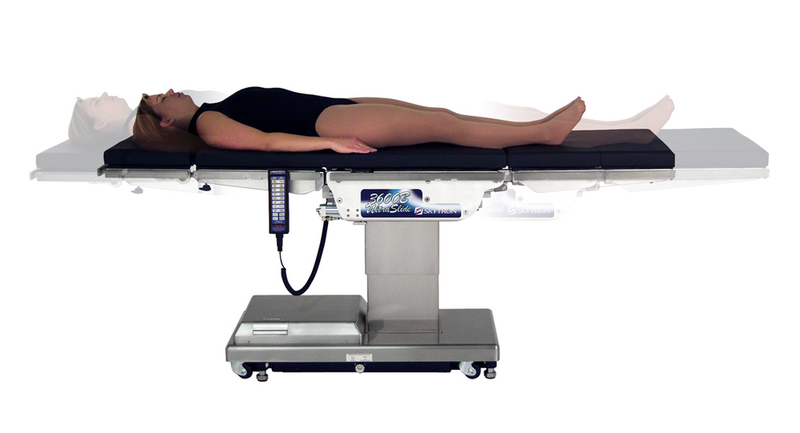 For positioning patients on non breakable tabletops, positioning aids are available, i.e. inflatable cushions. Truly floating tabletops are not available with conventional OR tables. As a compromise, floatable angiography tables specifically made for surgery with vertical and lateral tilt are recommended. 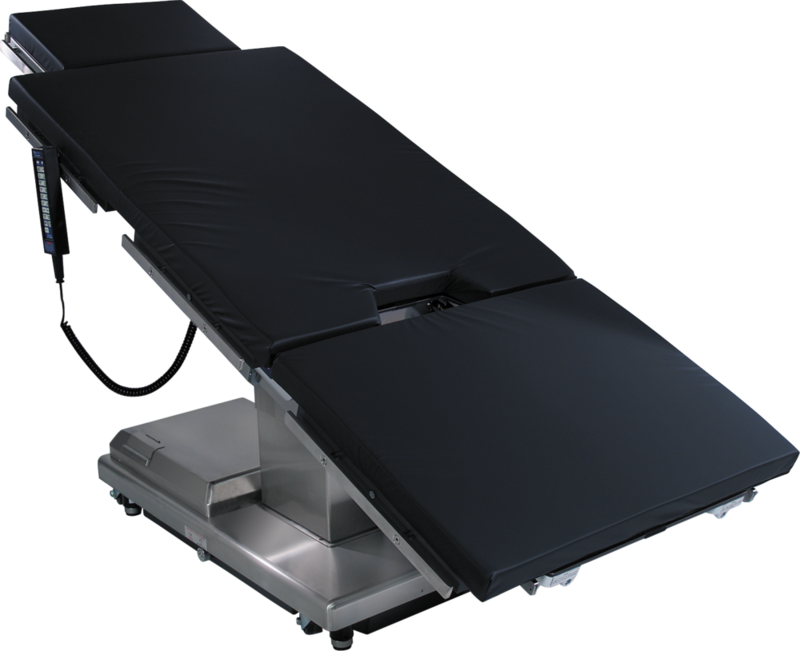 To further accommodate typical surgical needs, side rails for mounting surgical equipment like retractors or limb holders should be available for the table. 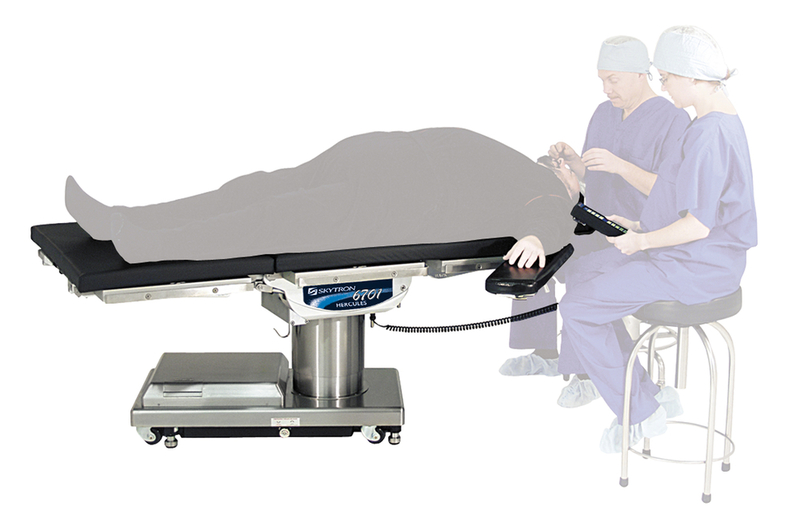 The position of the table in the room also impacts surgical workflow. A diagonal position in the OR may be considered in order to gain space and flexibility in the room, as well as access to the patient from all sides. Alternatively, a conventional surgery table can be combined with an imaging system if the vendor offers a corresponding integration. The operating room can then be used either with a radiotranslucent but not breakable tabletop that supports 3D imaging, or with a universal breakable tabletop that provides enhanced patient positioning, but restricts 3D imaging. The latter are particularly suited for neuro- or orthopedic surgery, and these integrated solutions recently also became commercially available. If it is planned to share the room for hybrid and open conventional procedures, these are sometimes preferred. They provide greater workflow flexibility because the tabletops are dockable and can be easily exchanged, but require some compromises with interventional imaging. In summary, important aspects to be included considered are the position in the room, radiolucency (carbon fiber tabletop), compatibility, and integration of imaging devices with the operating table. Further aspects include table load, adjustable table height, and horizontal mobility (floating) including vertical and lateral tilt. It is important to also have proper accessories available, such as rails for mounting special surgical equipment retractors, camera holder). 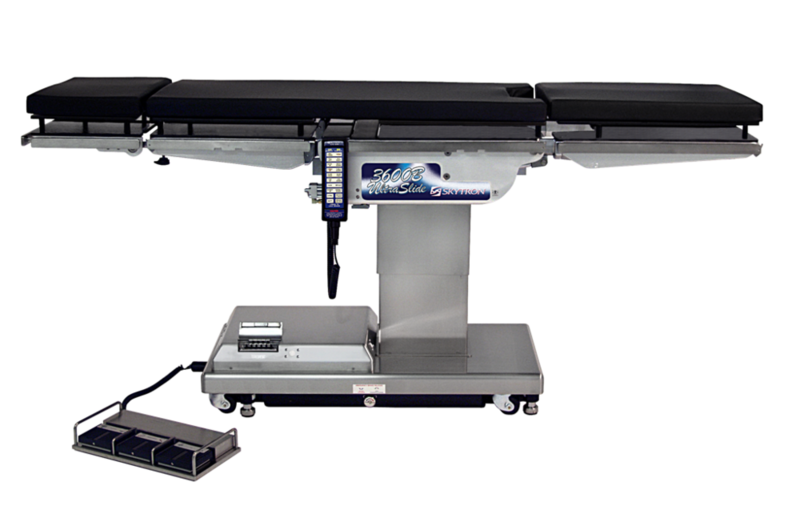 Free floating angiography tables with tilt and cradle capabilities are best suited for cardiovascular hybrid operating rooms.